Angkrit Ajchariyasophon, Ayaka Yoshizawa, Chalitaporn Yamoon, Happyband+Muzina, Jarupatcha Achavasmit, Jesper Haynes, Justin Mills, Miti Ruangkritya, Noraset Vaisayakul, Philip Cornwel-Smith, Pistiakun Kuntalang, Ralf Tooten, and others. 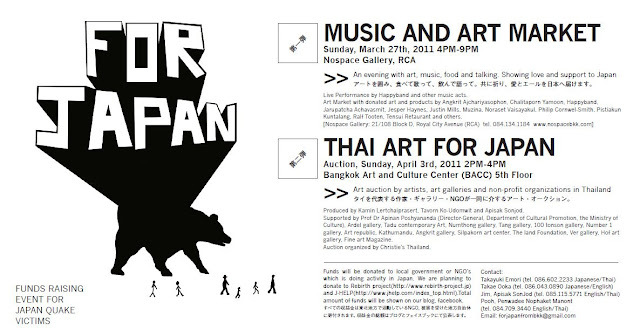 Funds will be donated to local government or NGO’s which is doing activity in Japan. 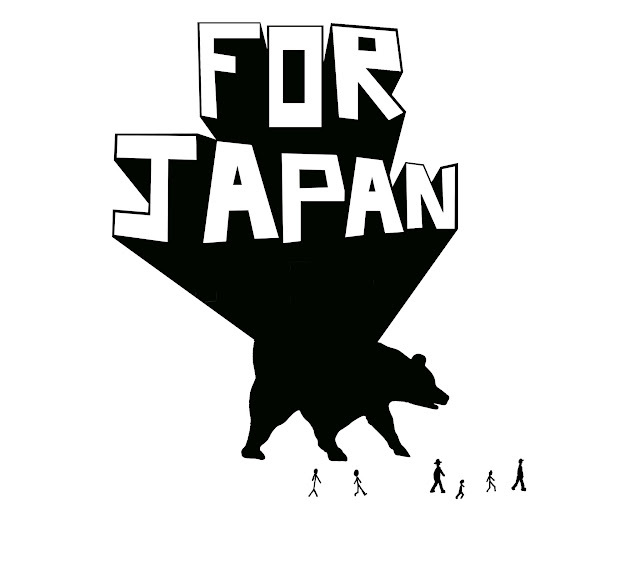 We are planning to donate to Rebirth project(http://www.rebirth-project.jp/) and J-HELP(http://www.jhelp.com/index_top.html).Total amount of funds will be shown on our blog, facebook.